What I learned in Real Estate this week…..
Well, it's been a heck of a last few months of Real Estate in San Antonio, Texas. CRAZY doesn't even begin to describe it. I'll save my words for my list though! You snooze, ya lose! We all know this right? If you want to "sleep on it" you might not be "sleeping in it". I thankfully have learned my lesson on this one, BUT an agent recently told me for three weeks in a row "we will be submitting an offer soon" & she did, the same time another one came in, CASH $ & better than theirs. I texted her to tell her the news, her response, "SERIOUSLY?" I wanted to say "ya snooze, ya lose" but i responded with, "yes, seriously"
No matter how frequently or what sort of communication you use, YOU MIGHT NOT EVER GET FEEDBACK. Some agents just aren't up to it. You can be under contract on two homes at one time with one buyer. It will happen. It will make you nervous, and you will double & triple check your "out" clauses. Not everyone in your world will use you to be their agent. PERIOD. People have relationships that take them to another Realtor, different circumstances, etc. IF there is an explanation behind it, some communication as to "we are using so & so, BECAUSE he is my brothers aunts sisters nephew......" UNDERSTOOD, if not, to us, it's not about the money when that happens, it's just painfully insulting. It is ok to teach your 3 year old to respond with "My mommy sells houses, wanna buy one?" when they discuss careers at school. Or maybe not "careers" when you are 3, maybe just "where did mommy go?" Wine can cure a bad day in Real Estate. Every time. That little section in the contract that talks about who is going to pay for the survey? All agents should read that very carefully. No matter how much time you set aside to move out, you still might be doing it at 4 o'clock in the morning before your scheduled closing time. List a bunch of homes & then GO ON VACATION. The offers will come swimming in. 10. We are mobile, SO BE MOBILE! Take your ipad to the pool for a few hours on a tuesday afternoon BECAUSE YOU CAN & swim, relax, send out some emails, answer some text messages, negotiate a contract, drink a beer, schedule some showings, write up an offer or order a home warranty. Whatever you need to do, take a few minutes for yourself amidst all of the crazy! Success in the rain! The longest, shortest referral EVER! What happens when the home doesn't appraise in San Antonio, Texas? 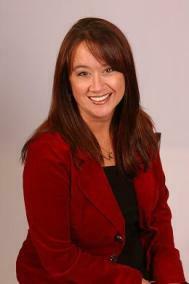 RE/MAX Access welcomes Tiffany Wright! Success in the rain! My SECOND AR check for 2012! Just Listed! 118 Irvingtonn ~ Alamo Heights ISD ~ Terrell Heights ~..
What I learned in Real Estate this Week! Just Listed! 27030 Trinity Point ~ San Antonio, Texas ~ Trinity Oaks..